LAGUNAS DE CHACAHUA PARQUE NACIONAL (Chacahua Lagoons National Park) lies on the southern coast of Mexico. Bathed in cool sea breezes and tropical sunshine, Chacahua is the hidden jewel of Oaxaca. If you spent a few days here you would probably agree that this is heaven on earth. But as man is able to destroy just about anything, Chacahua is no different. Come enjoy this paradise but please leave it as nice as you found it. This is Chacahua and the five surrounding lagoons as seen from the air. 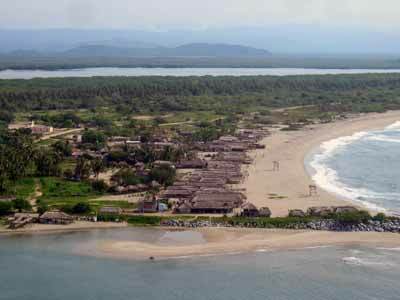 Often mistakenly referred to as *Chacagua*, Chacahua was once a sleepy village with a few fisherman and their families. They generally subsisted on fish and home-grown crops. Today the town of Chacahua is a wonderful rustic village attracting adventurists, naturalists, backpackers and water sport enthusiasts. 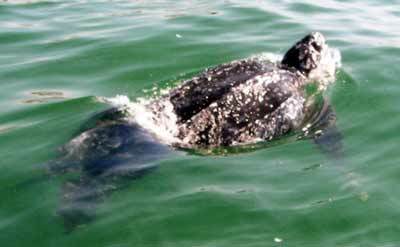 The endangered Leatherback turtle swims to the sea from the lagoon in Chacahua. Turtle conservation in Chacahua protects tens of thousands of turtles a year and gets them from the egg to the sea. Locals also work to conserve and multiply crocodiles in the park. Although many are in captivity and being bred, there are many wild crocodiles in the far reaches of the lagoons. Some of the locals tearing up the waves in Chacahua. Restaurant Row as seen from the lighthouse in Chacahua. Eat and drink to your heart's content then hike up the beach past the last restaurant and you will most likely have the next 10 miles of beach all to yourself. For the birders, Chacahua is a must. Since Chacahua is surrounded by shallow lagoons and is a migratory path of many species, you'll get the opportunity to view and photograph thousands of birds. If you are interested in helping with conservation efforts in Chacahua, please email from our Contact page. You are likely to encounter people from many different countries passing through Chacahua, especially Italians, Germans, Brazilians, Americans, and many environmentally conscious people from around the world. 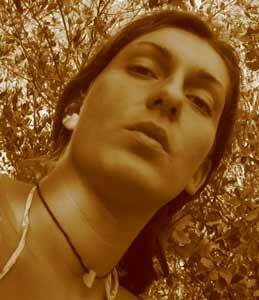 This photo is a self portrait taken in the mangroves of a beautiful Italian girl "Daiana" who spent a few weeks immersing herself in the Chacahuan culture. She'll be coming back.